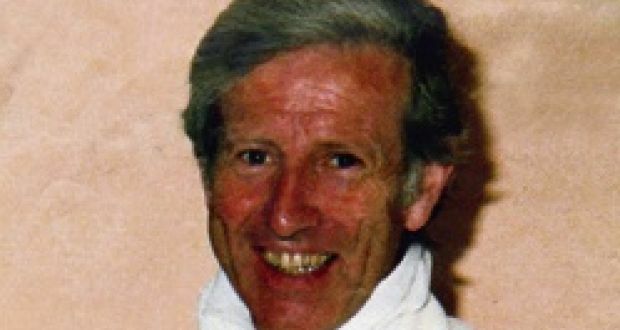 The Justice Minister has revealed that a senior counsel was paid more than €92,000 for carrying out a review of Roscommon priest Niall Molloy’s death. The Castlecoote-based cleric was brutally killed in the Clara home of Richard and Theresa Flynn in July 1985, but no one was ever convicted of the crime. Following continued claims that it was never thoroughly inspected, in February 2014 the government tasked Senior Counsel Dominic McGinn with reviewing the latest Garda investigation. After his independent examination, Mr McGinn found in March 2015 that a further inquiry wouldn’t be warranted – a recommendation Justice Minister Frances Fitzgerald accepted. Responding to a parliamentary question from Dublin Bay North TD Tommy Broughan recently, the Minister revealed that the senior counsel was paid €92,250 for his task. A Department of Justice spokesman said that the amount payable, made up of a fee of €75,000, with Vat at 23 per cent, was subject to sanction by the Department of Public Expenditure and Reform. It is now going on 14 months since members of the Molloy family met with Minister for Justice Frances Fitzgerald. She promised to respond to the meeting after the Summer break. ( Last year’s Summer break ) We still have heard nothing and despite again promising Denis Naughten TD last November that she would be in contact with the family. NOTHING. Also not answering letters from the family over the past year. 192. And you saw a fair amount of signs of blood around the bedroom ? – I didn’t notice any blood around the bedroom. 193. You didn’t notice any blood around the bedroom ? Sgt. Forde went on to describe blood stains he had noticed in other areas of the room. Bloodstains and marks were also detailed by Gardai who did a forensic examination of the scene. And Dr. O’Sullivan saw no bloodstains. ????????? 458. When you went to whisper an act of contrition in his ear did you notice his face ? 458. can I ask you how it is you came not to notice his face at the time ? -Because his head was turned over on his right side and I whispered an act of contrition into his left ear. 460. Why didn’t you turn him over ? – Because his ear, his left ear was nearest to me and I whispered an act of contrition into his left ear. I have seen the Garda photographs of the room and of Niall’s body. It is quite obvious from those photographs that there was a considerable amount of blood present. It is also obvious that someone attempted a clean up. Update : August 2016. Still no response from Frances Fitzgerald.